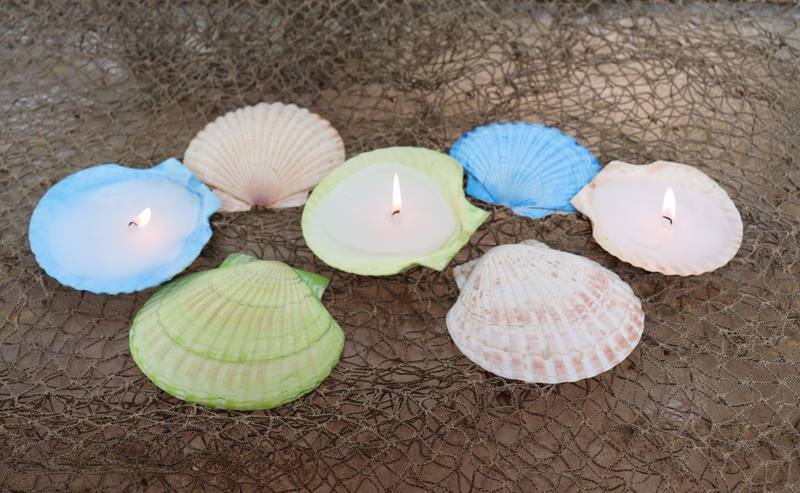 Make sea shell candles to decorate your outdoor space this summer. 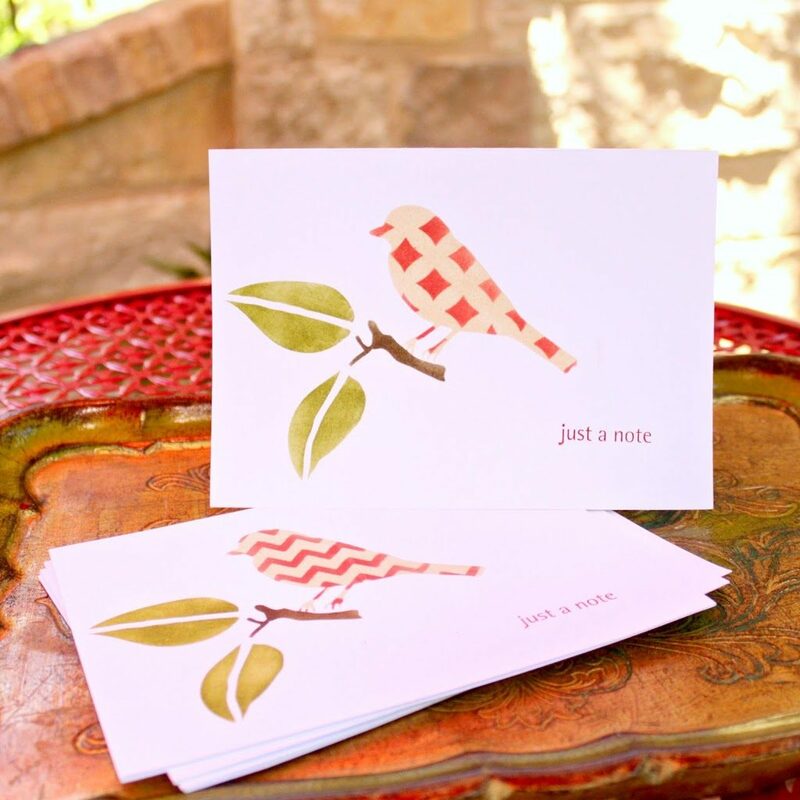 This quick and simple project is perfect for summer decorating! 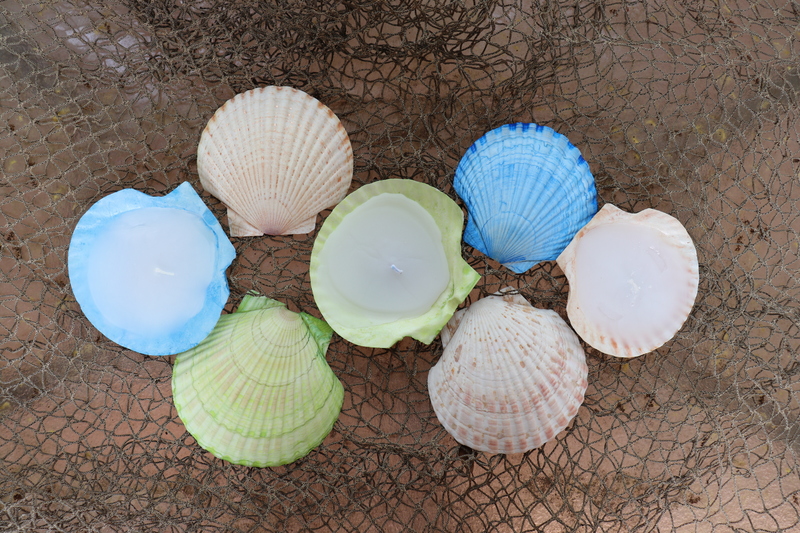 These sea shell candles make a pretty centerpiece for a summer table, too. Here’s how I made them. I have a very short (one minute) video tutorial that shows exactly how I made these sea shell candles. If you prefer written instructions, keep reading below. I painted the shells in various colors using Tattered Angels spray inks. Craft paints can be flammable (and could flake off) so I used inks to tint the shells. I wanted them to have a soft, watercolor type look, and the inks were perfect for that. I sprayed some ink and then painted the front and back of the shell. When the shells are completely dry, place one shell on a wax melted and turn it on. Place a tea candle on the shell and let it melt. If you have candle making supplies you can always make the candles yourself. I like doing it this way because there is no mess for me to clean up. After the candle has melted, carefully remove the shell from the wax melter and let the wax dry. If the wick is submerged in the wax you can easily pull it up with a toothpick as the wax dries. These candles look so pretty lit or unlit! I set mine on a decorative fish net on my patio coffee table. I think I’ll use citronella candles next time I make them so I can keep mosquitos away while I enjoy my patio. 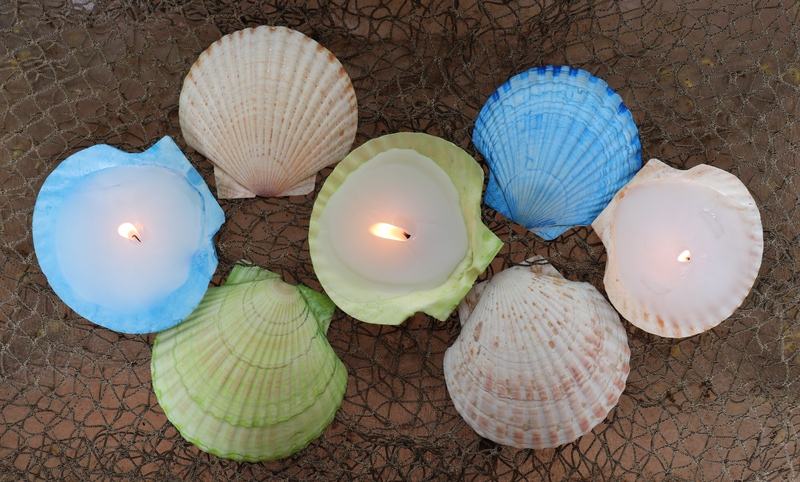 Have fun crafting and creating sea shell candles!